The age-old tale of banker-turned-tinker/tailor/soldier/spy rings true in Hospoda's case. 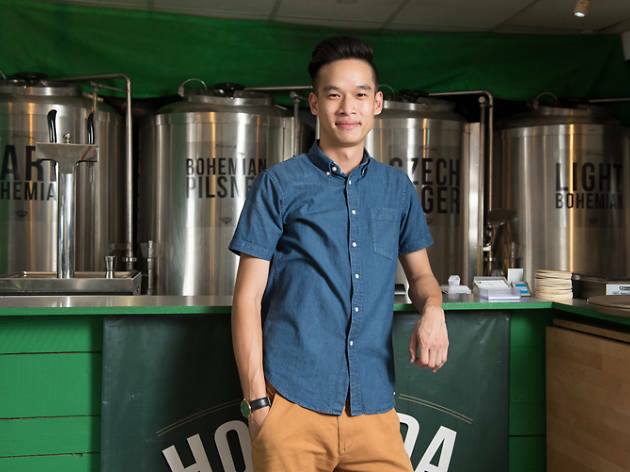 Darryl Chuan is only 26, and left a career in private equity to brew beer. 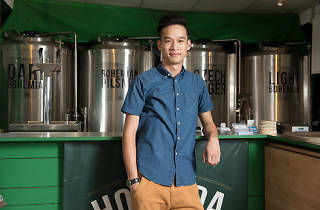 There are two beers poured straight from the tanks: a dark lager and pilsner ($10-$12/half-pint, $14-$16/pint). A third beer (and our fave), the Bohemian Mix, is equal parts of the other two brews.